As the world oldest trade route, the Silk Road is not only a road of business, but also a road of art and culture. 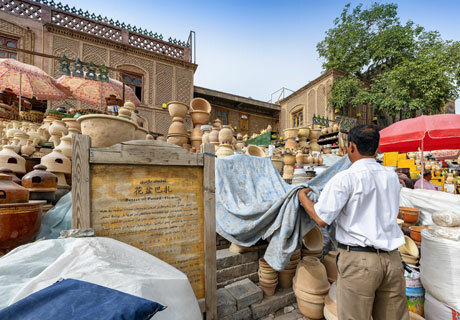 Our private China Silk Road tours offer an easy and flexible pace tailored for everyone to experience the history, culture relics, ethnic minorities, landscape, and local interaction along the great Silk Road. With our local tour guides and exclusive arrangement, you will touch the heartbeat under the ground of the Silk Road. Culture Experience Private local experts explain the history and stories behind the original relics. Local Interaction Exclusive arrangement on the Silk Road to show you the real-life link to its fascinating past. Tailor-made 1:1 China based expert allocated – every trip is designed to your needs and interests with quality service. Comfort Hand-picked hotels, bullet trains, we value your time and energy. Here are some inspirations for you to have a general ideas about the Silk Road in China. Contact us if you have any questions about the Silk Road Tour. The following routes are examples to help you tailor your own Silk Road tour. Remember all these Tibet tour packages can be changed according to your needs. From the eastern end to the western end of the Silk Road in China, this tour offers you landscapes, culture, and interaction with the locals. 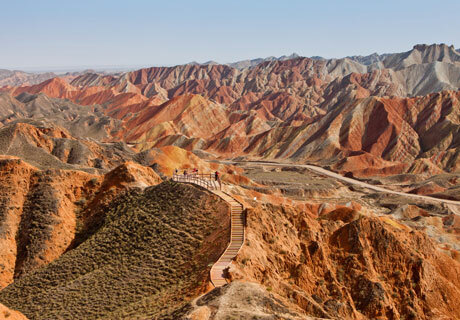 Silk Road connected with Beijing and Shanghai, this tour is best for people who come to China for the first time. There are many ethnic minorities live along the Silk Road. In this tour you will experience Tibetan and Uyghur culture. 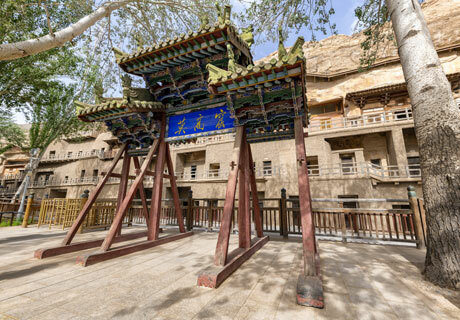 This exclusive tour provides multidimensional experience of the history and culture of Dunhuang and Mogao Caves. 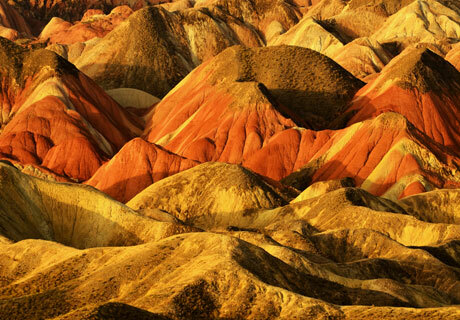 In this photography tour you will have sufficient time to take photos of the Zhangye Rainbow Mountains, Yadan landscapes, desert wonders and cultural relics. 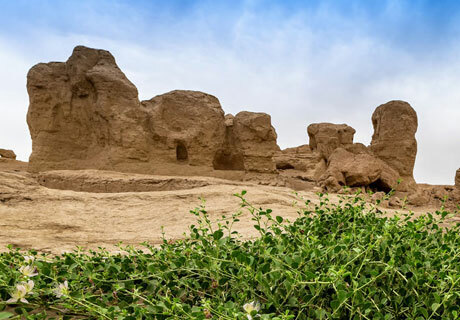 This tour includes the most highlight parts of Xinjiang, and you will have a chance to enjoy marvelous landscape and local interaction. Let the world’s unique train – China Orient Express (also known as the Shangri-La Express) – take you to the Silk Road, which dates back to over 1,000 years, so that you can explore the best attractions of the ancient Silk Road in 2019! 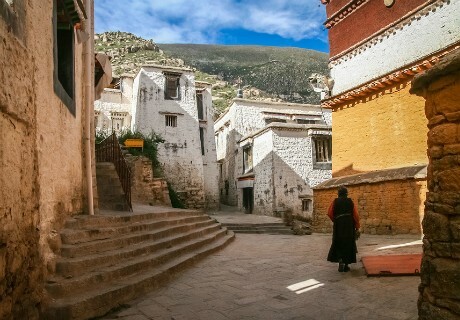 This tour connects the most highlight points on the Silk Road. From Xian to Urumqi, you will enjoy luxury train travel and intimate services. This tour included Tibet and the Qinghai-Tibet railway- the highest railway in the world. 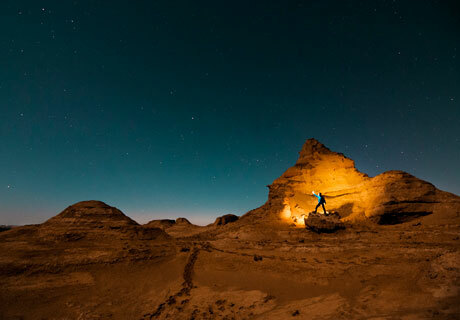 Connected with the Silk Road, you will enjoy the stunning scenery andcustoms. Highlights along the Silk Road route are listed as below. Please inquire if you have any questions and our professtional travel consultant will reply within 1 working day. 1. When is the best time to visit the Silk Road? The best time to travel is from May to October. Weather conditions are pleasant from late spring to early autumn, with an average temperature of 15 °C. Although summer weather can be scorching, the heat is dry and more comfortable than in the humid tropics. The scenery is ideal when the fruits ripen, the flowers are in full bloom, and green grass covers grassland areas. Bring warm clothing even in the hot summer, as the temperature can change greatly between day and night in some places along the route. Bring shoes suitable for walking. Use sunscreen, sunglasses, and lip creams to protect your eyes and skin from the sun. Also consider bringing a moisturizer because the air is very dry in the desert areas. Bring some medicine for diarrhea and heat stroke. When visiting religious sites such as mosques, women should wear long–sleeve clothes. At certain times women are not allowed to enter mosques. Taking photos at some attractions is forbidden; please follow your tour guide&apos;s lead. When you shop at the market, bargaining is taboo if you do not intend to make the purchase. All you need to do is come.